Yep, we shoot stills and motion. But there is so much more to TBP. 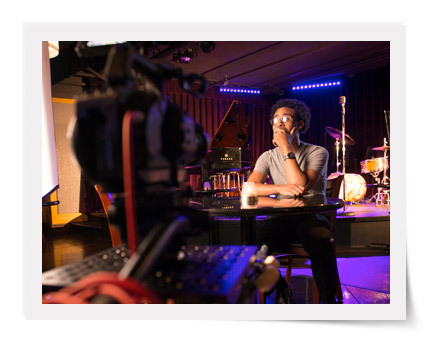 We believe in the power of the image, whether it’s one click or 24 frames a second. Beautifully lit, well-composed images tell a story; stories capture the human heart like no other and we’ve found that a captured heart nearly always leads to a changed way of thinking. This change can be as simple as someone’s attitude toward a brand or as complex as a person’s worldview. Nothing offers more power for change than a well told story. From concepting and pre-production to that final foley sound, we offer services to take your project to the next level. 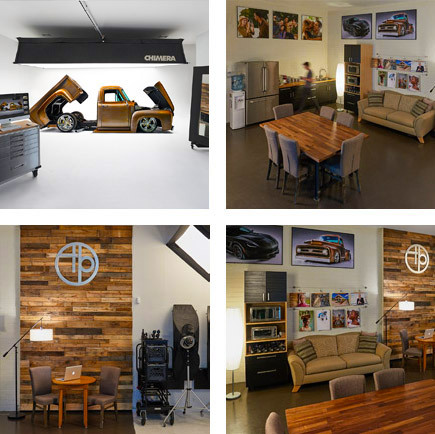 Large enough to handle nearly any shoot, but cozy enough to make you feel right at home, our studio, editing suites, and kitchen area are just right! At ground level, our garage door opens giving easy access to our studio space for deliveries large and small. Our 10’x20’ Chimera softbox rotates 360 degrees and is easily moved in and out of our shooting space on a 20 foot rail system, revealing our 30’ cyc wall for seam-free shooting. With more than enough gear in-house, multiple shoots can happen simultaneously. Our Mac Pro video editing stations also allow for a high level of 4k productivity with space for editor/ client interaction. Combine all that tech with our comfy couch, meeting area, and kitchen results in us regularly hearing from clients that they just don’t want to leave. Life doesn't stand still and neither do we. Not only do we travel the world, but we move within it. We are constantly looking for unique ways to capture the movement within a story to tell that story more effectively. Whether it’s gravity sports on a mountain, powered movement of a sports car, or simply a child running through a field, we want to find a way to efficiently and effectively capture that movement. 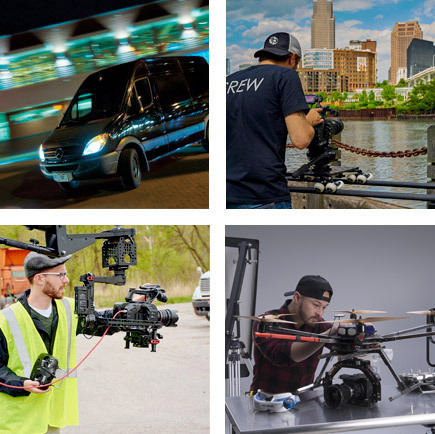 From simple sliders and drones to our camera truck and production Sprinter, we take movement seriously.